On behalf of our members, the HSLI Conference Planning Committee extends a thank you to the NN/LM – GMR for the Professional Development Award that funded three valuable continuing education sessions at HSLI’s 2018 conference. A story and photos about the education funded by the award are at the GMR website. The conference planning committee is surveying all HSLI members for feedback on conferences. If you attended the 2018 meeting, the survey includes questions specific to the 2018 conference. 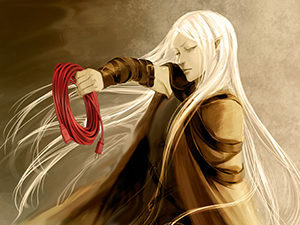 The survey should take about 7 minutes to complete. Please try to complete the survey by October 17th so your voice can be heard. If you are already planning to attend and want to schedule your time at the Conference (or, if you haven’t decided yet, but want to see what professional-development and networking opportunities are available), the program is now on the website, and it is also available for download as a PDF. Some of the highlights of the Conference schedule are listed below. For general questions about the Annual Conference or the Health Science Librarians of Illinois organization, please e-mail Eric Edwards, Chair of the 2018 HSLI Annual Conference Publicity Subcommittee: <EEdwards@ilsos.net>. You may also learn more on the Conference page of the HSLI  website. Again, we hope to see you in Rockford from September 26 to 28! Early registration for the 2018 Health Sciences Librarians of Illinois Annual Conference ends Wednesday, September 12th. After that date, there will be a $25 late fee assessed to register. Please follow this link for online Conference registration using PayPal, or you may download the PDF form from the registration page and mail it, with a check payable to HSLI. You will be able to sign up for your Conference CEs, the mentor/mentee program, food choices, and dietary restrictions. Please refer to the registration form for the various rates and options. Notes: Continuing-education courses are included in the cost of registration, and there is a $6.00 surcharge for registering online. 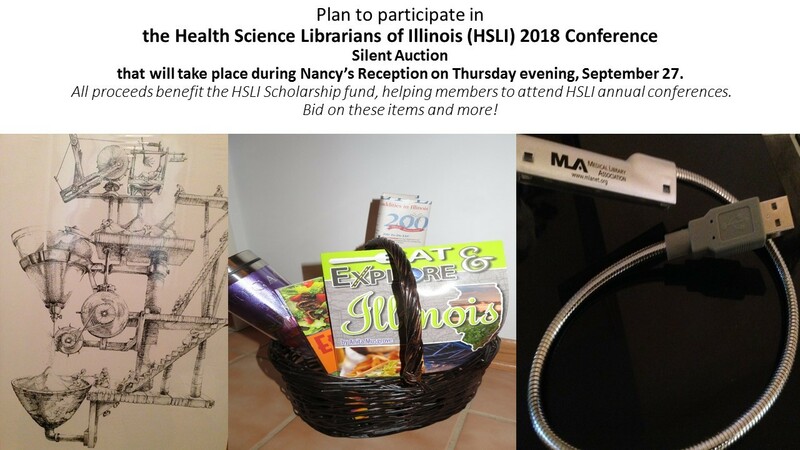 The 2018 Health Science Librarians of Illinois Annual Conference will take place from Wednesday, September 26, to Friday, September 28. The Conference, with its theme, “Rivers of Data, Streams of Knowledge”, will feature continuing-education opportunities, invited speakers, poster sessions and lightning talks, and a vendor showcase, along with networking opportunities for library and information science professionals and students alike. To book your hotel stay at The Cliffbreakers Hotel & Conference Center (also known as Riverview Inn & Suites), please call 1-815-282-3033 or visit the website. Did you know that the 2018 HSLI conference registration includes continuing education courses? Attendees are able to select one Thursday afternoon two hour course and one Friday morning four hour course at the time of registration. One’s online scholarly presence can be critical for work and scholarship; it is also time-consuming, however, and, sometimes, we are not fully aware of how we are represented on the Internet. In this workshop participants will learn about options for managing one’s online identity, using tools such as Academia.edu, ResearchGate, Google Scholar, ORCID, and more. We will share strategies that can help you make decisions about which tools will best fit your needs and workflow. Not only will this be useful for one’s own work and scholarship, but it will also be helpful for those who support other professionals engaged in research and scholarship. The instructors will be Peg Burnette, Erin Kerby, and Amanda Avery. Peg is Assistant Professor and Biomedical Sciences Librarian at the University of Illinois at Urbana-Champaign. She is actively engaged in the supporting the Carle Illinois College of Medicine, in addition to a robust campus-wide program of interdisciplinary health sciences research, and she is also a member of the 2018 HSLI Annual Conference Planning Committee. Erin is the Veterinary Medicine Librarian at University of Illinois at Urbana-Champaign. Erin enjoys being able to combine her experience as a health sciences librarian with her passion for animal health and welfare. Erin holds a Master of Science in Information from the University of Michigan School of Information. She is an avid horseback rider, and in her spare time trains her horse in dressage. Amanda, a graduate student at the University of Illinois iSchool and a graduate assistant at the Grainger Engineering Library, is interested in pursuing a career in health sciences librarianship. *The Conference Planning Committee acknowledges support of the Professional Development Award through the GMR (National Network of Libraries of Medicine – Greater Midwest Region) Office for these courses. HSLI members and colleagues are invited to attend the HSLI 2018 Annual Conference which will be held September 26-28 in Rockford, IL at the Cliffbreakers Riverside Hotel and Conference Center [also known as: Riverview Inn & Suites, an Ascent Hotel Collection Member]. The Conference, with its theme, “Rivers of Data, Streams of Knowledge”, will feature a keynote talk, updates, lightning talks, Nancy’s Reception, a poster session, a vendor showcase and silent auction, as well as continuing education and networking opportunities. For general questions about the Annual Conference or the Health Science Librarians of Illinois organization, please e-mail Eric Edwards, Chair of the 2018 HSLI Annual Conference Publicity Subcommittee: <EEdwards@ilsos.net>. You may also learn more on the Conference page of the HSLI website. We hope to see you in Rockford from September 26 to 28! The Health Science Librarians of Illinois Conference Planning Committee is pleased to announce the 2018 keynote speaker, Dr. Kristi Holmes. In her talk, “Thirsting for Knowledge: Opportunities for Librarians in the Age of Data” on Thursday, September 27th, she will discuss intersections between libraries and data, and will offer a range of practical ideas that align with the core mission of the library. FSM Staff headshots on 9/6/17. Photos by Nathan Mandell. Kristi Holmes, PhD, is the Director of Galter Health Sciences Library & Learning Center, Director of Evaluation for Northwestern University Clinical and Translational Sciences Institute (NUCATS), and Associate Professor of Preventive Medicine (Health and Biomedical Informatics) and Medical Education at Northwestern University Feinberg School of Medicine. 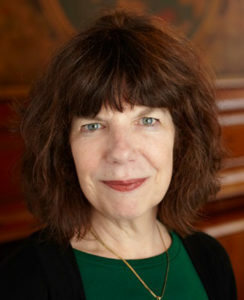 She is also co-director of the new National Center for Data to Health (CD2H), where she works with the other directors and with the larger translational informatics community to help guide the cultural and technological changes necessary for data and informatics, to improve research and health care. 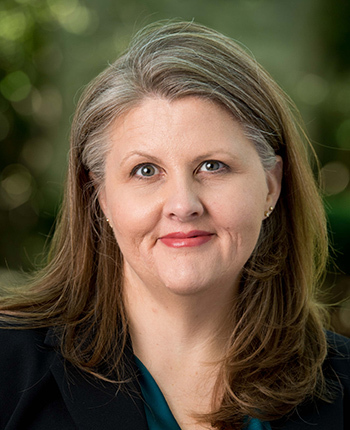 She is enthusiastic about the cultural and technological changes necessary for data and informatics to improve research and health care – and the role that libraries can play to help make this happen. The 2018 Health Science Librarians of Illinois Annual Conference will take place from Wednesday, September 26, to Friday, September 28 in Rockford, IL at the Cliffbreakers Hotel & Conference Center [also known as: Riverview Inn & Suites, an Ascent Hotel Collection Member]. The Conference, with its theme, “Rivers of Data, Streams of Knowledge”, will feature continuing-education opportunities, invited speakers, sessions for posters and lightning talks, d a vendor showcase, along with networking opportunities for library and information science professionals and students alike.